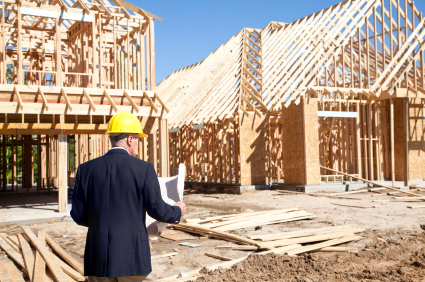 The Village of Brooklyn is responsible for all construction permit applications and inspections. All plans are reviewed to ensure they meet Village code. Depending on the project (new construction, addition, etc. ), a review may need to appear before the Village Planning Commission. Plans need to be submitted twenty-one days prior to a planning commission meeting (4th Wednesday of the month) for initial staff review. After an initial plan review and planning commission approval, the plan will go before the Village Council for Final plan review. The Plan Review is paid at the first submittal of plans. All fees are based on the cost of construction. Before beginning any work, it is strongly recommended that property owners or their contractors contact the Village to determine if a permit and inspection is required. Most all residential and commercial projects will require permits, inspections, and approvals. Permits are required for any structural, electrical, plumbing and mechanical work. Permit applications and other building forms can be found on our forms page and contain important information that may help direct you on what is required. If you have any questions on your upcoming projects, simply contact the Village office at (517) 592-2591. Failure to obtain the necessary requirements may result in penalties being assessed. No construction work, material hauling, or construction equipment start-up before the hours of 7:00 a.m. nor shall construction work continue past the hours of 10:00 p.m. Permits along with building and zoning forms can be found on the forms page of this website.